• Police responded to the 1-99 block of Woodland Drive at 7:54 p.m. on Aug. 27 to a domestic assault incident. A 23-year-old male is listed as a suspect in offenses involving kidnapping/abduction, assault, and destruction/damage/vandalism of property. A 27-year-old female is listed as the victim. A Cricket Cool Pad was listed as the damaged item. • At 9:25 p.m. on Aug. 29, police responded to the 1000 block of Southridge Avenue on a domestic assault report. Police made contact with a 42-year-old female advised she was at the residence to get her things and a 51-year-old male pulled her hair, scratched her arm and kicked her right hand which she advised she had surgery on the day before. She said she didn’t need an ambulance, she just wanted to get her stuff and leave. Police provided security while she gathered her items. • A 57-year-old male is facing pending charges for alleged menacing and menacing by stalking in connection to an incident at a salon on Rombach Avenue at 1:47 p.m. on Aug. 29. • Police arrested a 48-year-old Washington Court House male for alleged aggravated menacing and persistent disorderly conduct at 5:39 p.m. on Aug. 27 after he made a statement referencing bringing a gun into Clinton Memorial Hospital. • At 12:21 a.m. on Aug. 27, a 22-year-old female reported $82 and her bank card were stolen. A 21-year-old male is listed as a suspect. The report indicates the incident took place at the 900 block of Wayne Road. • A 40-year-old Chillicothe male was charged with alleged theft after police responded to a theft report at a store on Progress Way at 9:35 a.m. on Aug. 27. 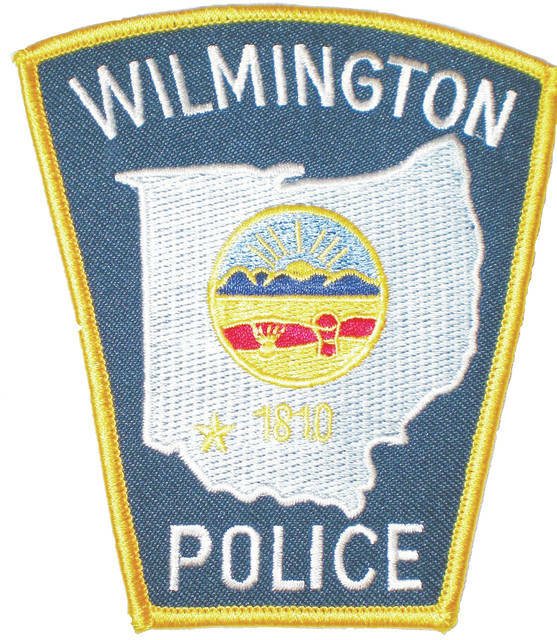 • At 7:32 a.m. on Aug. 29, a 65-year-old female reported it appeared someone went through her vehicle the previous night at her residence at the 400 block of North Spring Street, though nothing seemed to be stolen. She said she accidentally left her car unlocked. • At 12:57 p.m. on Aug. 29, a 20-year-old male reported someone stole $211.79 from his bank account via an unauthorized transaction. His social security card was also stolen. A 37-year-old female is listed as a victim. • A 36-year-old Morrow male was arrested for alleged theft, obstructing official business, and resisting arrest when police responded to a theft report at a store on East Main Street at 2:13 p.m. on Aug. 30. • Police arrested two females from Washington Court House — ages 59-year-old and a 30-year-old — in relation to a theft report at a store on Progress Way at 3:50 p.m. on Aug. 30. The 59-year-old was charged with one count of alleged theft, the 30-year-old was charged with counts of alleged theft.